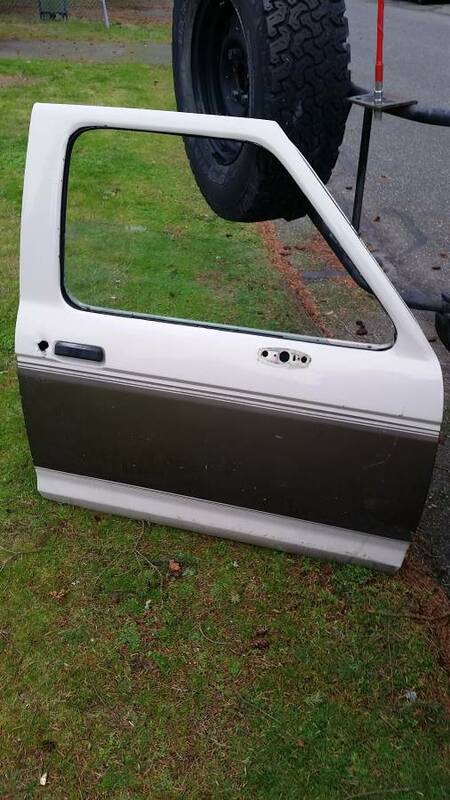 I have a passenger door that I'm hoping someone can make use of before I try sending it to the recycler. 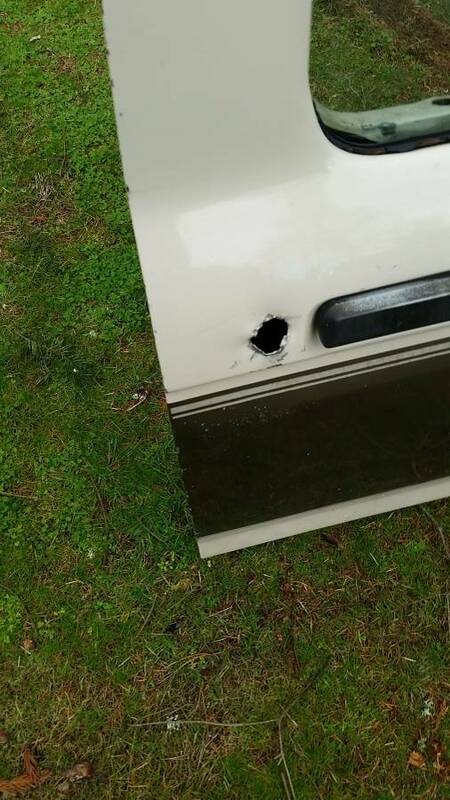 The short story is that someone broke into my truck and, in doing so, mangled the hole where the lock cylinder is. So I switched out the door, and now I have this left over. If you're interested, let me know. I live in Edmonds, but I can meet in adjacent cities if needed. Also, I'm usually available any time after about 7 on weekdays, and any time on weekends. The door is set up for electric locks and windows. 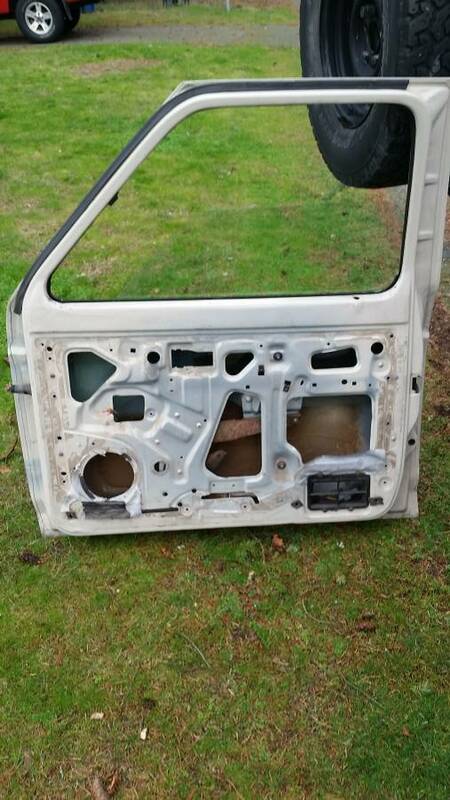 It has all the parts for the window. 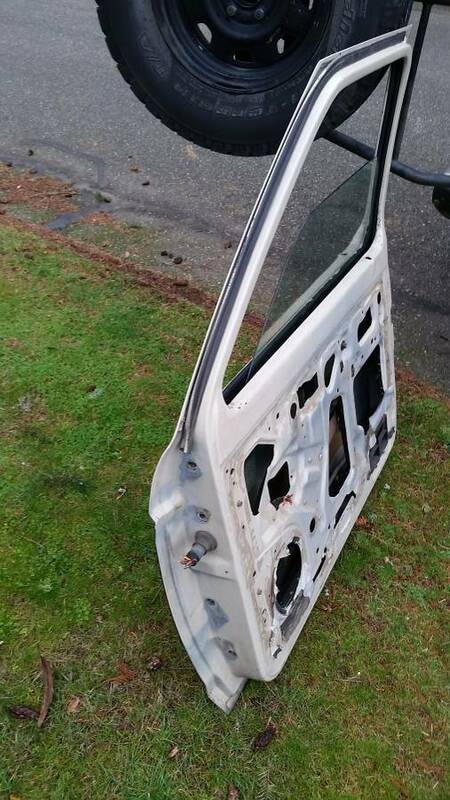 Some wiring is included, but it's been butchered while taking the door off. Same thing with the connections for the lock, after the break in. No mirror or latch. Relatively good condition besides the mangling. Curious is you still have that door? If not, thanks anyways. 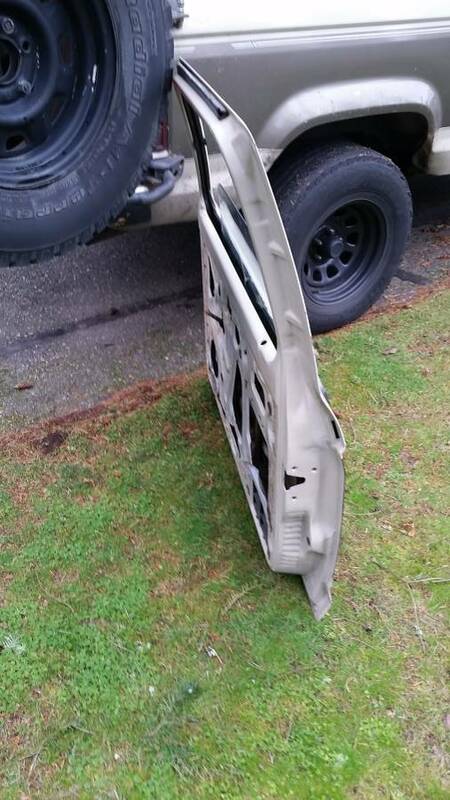 If so, I live just south of you and would love to pick it up.